February 2010, was indeed an important day in NIGERIA. It was the day Google maps was officially announced at the G-NIGERIA Event. 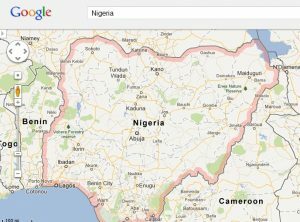 Google maps has always been in Nigeria, but it’s officially launching in Nigeria implies that Google is now ready to make Google maps more useful and better in the country. Google maps is a free web mapping and navigational service readily obtainable to both computers and smartphones. It provides you an immense opportunity to find places of interest such as, schools, hospitals, hotels, banks, firms, companies etc. There are various google maps across the world, and in nigeria it has reach some big major cities like google map nigeria lagos, google map abuja, google map nigeria free download can be downloaded from google. You can try it if it will work for your city. You could also find certain routes on Google maps, like bicycle routes (I don’t know how attainable this is in our country) and Bus routes. Address of places of interest can be found on Google maps. Some of the Google maps services offered in Nigeria currently covers Nigerian cities such as Lagos, Abuja, Port Harcourt, Onitsha, Kano, Ibadan, Aba, Kaduna, Ilorin, Zaria, and Maiduguri. Cities like Enugu, Warri, Okigwe, etc. these places may be traded using Google maps, although not in a fully detailed fashion. Be that as it may, numerous attributes such as names of streets, places of interest, roads/routes, and direction are yet to be provisioned on most of the Nigeria Google mapped locations. What this implies therefore is that tremendous efforts is still anticipated in order to make Google maps in Nigeria and the Nigerian internet community as a whole to find relevance to Google maps and the world at large. The exciting feature of Google maps is that Google gives everyone the opportunity to partake in the map creation process. Google has created a simple online mapping tool known as the Google map maker to enable any Google account holder to participate in the Google map building process. All you need to do is to click on this link Google map maker website and locate the familiar areas by double-clicking on the map to make the feature or area look more visible or clear. If you were unable to locate your street or some popular landmarks in your location, you can add these features by utilizing the controls found on the Google map maker. I have already joined the moving train by using this tool to add street names and other familiar areas to the Google maps; I hope that you can join me. Note that your added features will not reflect immediately on Google maps as it takes a longer period of times before your added features reflect on the Google maps. Another thing that you must take note of is that your added features will need to be moderated by another person before it can be made available; as it helps to prevent spam and reduce errors. I have started to see some of the features I added to Google Map Maker displayed on Google Map. So, that implies that I have made meaningful contributions to make the web more viable. You can also follow the same path. Google maps is also a mechanism which various serviceable maps application can run, this gives it confidence to innovators in Nigeria to engage into Google maps and give vital details on their maps position on Google maps. Maps established in this step can link to personal websites. For instance, a financial institution can source Google maps to create a guide application that display data on all its subdivisions in Nigeria on a guide incorporated on their site. They can make practical and effective use of the guide to give bearings to their financial institution subdivisions and in addition vital details like telephone numbers, addresses, email, business time, and so on. Google maps additionally gives a moneymaking opportunity, you can gain some money by helping nearby organizations to be activated on Google maps. Bigger organizations will likewise expect designers to manufacture supports focused to their organizations. 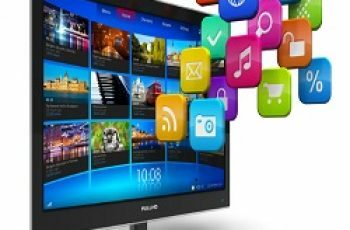 In addition, you can likewise establish valuable guide applications and where they are adequate they can produce great movement that you can earn revenue through promoting. Google Map for Business, Others. Google maps are great for organizations. They can give information about their business on the guide, influencing them to some portion of the geographic data on Google maps. Google maps are well known for helping individuals, especially visitors searching for places, perhaps somewhere to purchase items or get valuable services. This implies being a piece of the geographic data on Google maps, gives greater perceivability to your business on the web. Discover your locaton on Google maps, visit Google maps site now. Where you have insufficient information on your location on Google maps, you can include locations and road names by utilizing the Google outline. Before utilizing Google outline, please read the instructional exercise to prepare yourself. If you are a designer, you can begin creating maps applications and incorporate them using Google codes instructional guidelines for maps. 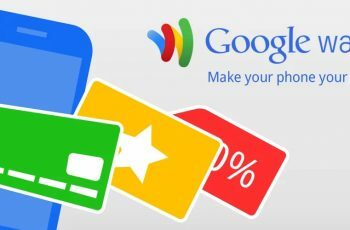 Does Google Wallet App work in Nigeria?